it reminded me of the time I was happily preoccupied/ labored in building The Charmed Paladins site and surprisingly, it gave me a scene-spiration today! If I had completely rolled out what I had visioned for the virtual series back in 2011 it would have explored more about the women of TCP series. For this story moment, it was only : Linda Maeren Eldreth (Wyatt Halliwell’s highschool sweetheart, lots of history with the two), Bianca Frances Walsh (A Phoenix witch and Chris’ sweetheart, yeah, another long history there) and Tammy Holden (Derek Jr.’s sweetheart, another set of history there too), where in focus. I started 2017 by writing treatments and thought of finishing one per month per story idea! Maybe it was too idealistic but I wanted to throw it out there and push myself. Unfortunately, I haven’t paid close attention to my schedule and before I knew it, I was overran with several family problems (again, sheesh, when do I get a break). Then of all the unlikely things to get motivated was catching again the “Pirates of the Caribbean” movies this past month! It awakened once again the flame to finish treatments. August is nearly winding down so this was a good time to write fast, brainstorm through and really FINE TUNE later. My good friend The End Justifies The Journey surprised me with her dream crate theme and after reading a couple of links she shared from fellow dream crate wishers, I thought I’d give this a go. I’ve also heard about this monthly subscriptions boxes too. I didn’t know there was such a thing because being half-way across the globe, international shipping expenses alone can give one a coronary. Despite these economic downturns, these lovely curated and fascinating boxes are a joy to receive from what I’ve seen from several pictures on Twitter and also, from my friend CappucinowithJules she received a while back from a different pop box. Loot Crate is a monthly subscription service geared not only to tickle but to satisfy your inner geek, gamer needs, & favorite pop culture styles by having monthly themed releases ranging from exclusive merchandises, wearables, comic books and more! They also have a section catering to the specific crowd too! If you’re a #Potterhead Wizarding World Crate might be just the thing, or a Marvel fan – hop over to Marvel Gear +Goods Crate or if you have friend who’s a huge WWE fan then the WWE Slam Crate will be up the alley. So what would be my Dream Crate? I named it “Keepsake Creations” as nod to artisans, concept designers, visual artists etc in creating memorable products. Anastasia’s locket & music box. 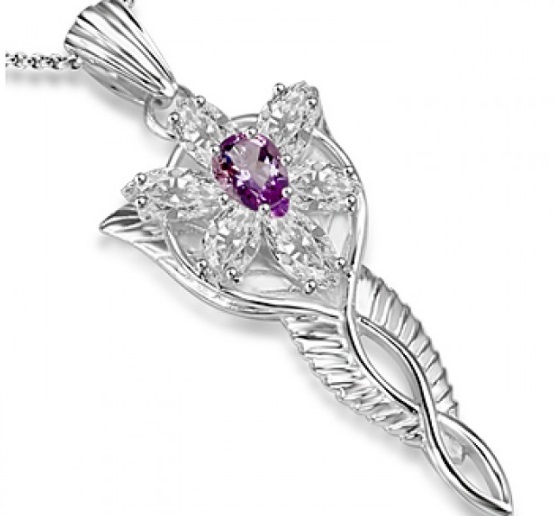 The music box is pictured here and I’ve read the new musical didn’t opt to use the pendant. #wonderwoman #wonderwomanday #gouache on 12 x 18 hotpress. 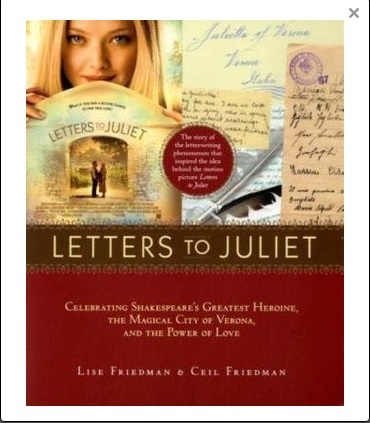 Letters to Juliet book – after having seen “Letters to Juliet” movie, I was intrigued finding out a group of women answering letters from matters of the heart voluntarily before and now, sanctioned by the City of Verona. After reading award-winning author Nicole Evelina post on her five favorite movies inspired by books challenge, I decided to note my favorites too. All “LOTR” and “The Hobbit” movies – I thought it was quite ambitious & very masterfully done in condensing Tolkien’s legendarium for a non-fantasy reader. I soon later began reading the books and appreciated them. “The Finest Hours” – I haven’t the read book but the movie was very thrilling. A great show of a person’s indomitable spirit. The book is in my TBR list. “Testament of Youth” – Quite moving film from Vera Brittain’s book of the same title. I haven’t read it tho Idk if it’s still available on ebook format. I’ve read some reviews and some readers find it difficult to understand due to the ‘old’ English (not King James English) style of writing. “The Spook’s Apprentice” books (the first book) or “The Seventh Son’ in the movie. It was a promising endeavor but it left me with a mix bag of emotions. I thought making Ward older was a good choice but the rest of the changes left me wondering why it went in the direction we see in the film. I’m currently reading the series and I’m liking the way the world and the characters were written. “Me Before You” – haven’t read the book yet but the movie was nicely done. By end of the movie, Will’s decision made me shudder. Those are my top five movies inspired by books off the top of my head, what are yours? If the novel writers have their NaNoWriMo month, Max Timm, founder of the “The Craft Course in Screenwriting”, launched this free course for neophytes of all levels, which started last April 20 to extend until June 20. Whew! I liked the course. It has a mix of podcast files and transcripts if you feel listening will make you miss all the information. The text lessons were a good add too just when my CPU broke down. It would have been tiresome listening through my device (no external speakers bought yet) without resorting to wearing earphones because I’d like to keep my ears tinnitus free. There were assignments at every of lesson as well. Unfortunately, I’ve lagged behind ( big time) I’m still Day 4! Too bad, I wasn’t able to get back to starting up my Marvel Unlimited monthly subscription since it would have been so useful for research. What I’ve written to my Agent Carter opening scene came from the back issues I’ve read. No thanks to this present prexcy of the country remarks causing our currency to weaken against the dollar. So strange though in the previous administrations, if our currency moved just one peg up in the currency exchange against the US dollar, everyone’s up and throwing tantrums and tirade…now, it felt like everyone’s shoved back in wait-&-see silence. Oooookay, going off the rails. I hope to continue writing about a project and get it at least in a screenwriting competition somewhere this year. Yes, that’s a yearly goal. Presently, I’m working on a comicbook manuscript for consideration for a local publisher. I’m crossing my fingers for a positive feedback and more importantly, get it in before next month’s deadline. The publisher rolled out requirements. I’ve then asked a couple of people who also seemed to be in the same boat as I am. They’ve shared the publisher’s answers to me and so, reading from the publisher’s answers was quite helpful, but it still left me undecided on several panels I’m working on. I really need to stick with a unified vision or this manuscript will feel all over the place. Re-read a writing requirement these past few days and I thought I might get away with my chosen setting for a possible consideration but it looked like I have to follow the rules first and train to view stories set for local readers. Yesterday, I was reminded of this event and for a long while I didn’t know which scripts I could submit then I realized I’ve written two fan scripts before. One for Smallville and the other was a TV pilot spec when “Charmed” ended. I’ll have to re-read them once more if runaway spaces came up again when I converted from Doc file to PDF. Well, this was the poster. My photoshop skills now have vanished so pardon if I can’t re-do this now. Nostalgic, yeah big time when TV reboots just came just shy away from the originals. I hope they don’t reboot “Charmed.” Just leave it alone. #amwriting words on paper day…. This was a bit of hiccup since I usually write MWF so having the day ## exercise was not for me but this doesn’t mean I’m not continually adding scenes when I’m away from the computer. 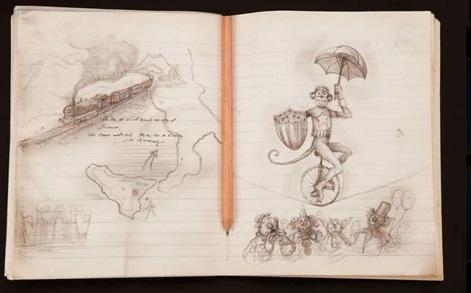 My notebook has been super handy and at times, I find my story questions which would lead me to do more research.